She had a buckling and a doeling, and they are strong and healthy. Daphne is a good momma, too. She’s very attentive, and has kept her babies warm these past freezing nights. Look at those long ears, and the Roman nose. These are two characteristics of Nubians. 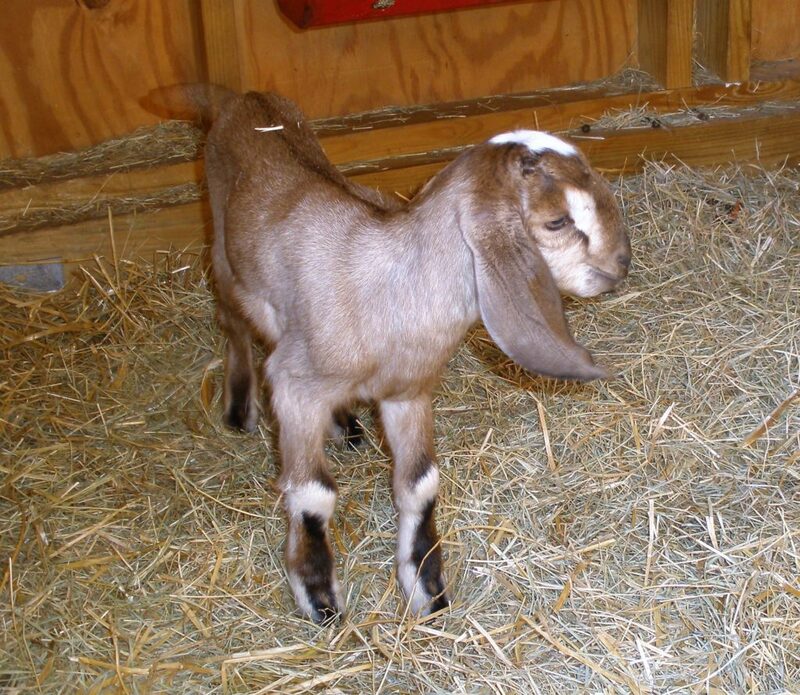 Our friend Jeff Mahaffey (my dairy goat guru) says he always bred for those two characteristics. He pronounced both of these kids to be just perfect! 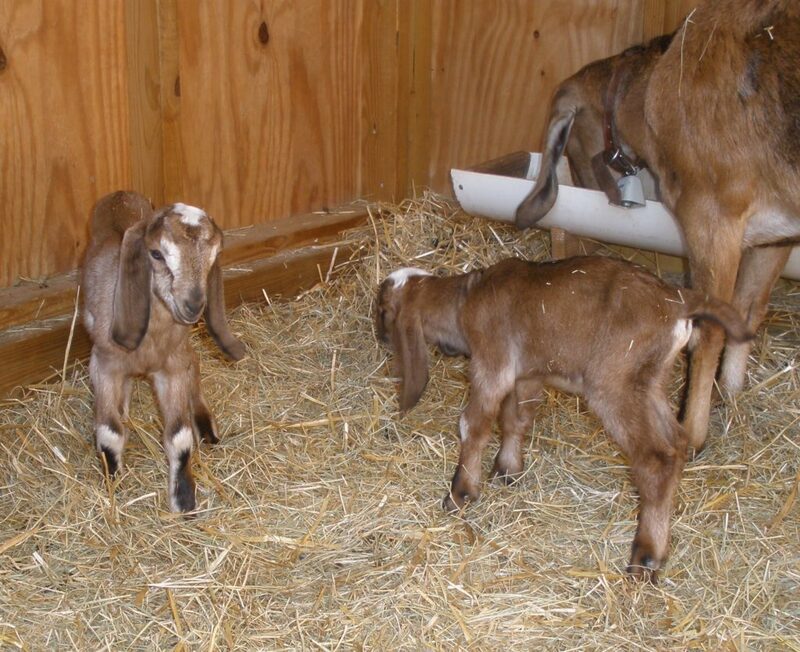 We can’t wait for these kids to play and bounce around their pen. Even though they’re still quite small, visitors will be able to see them. 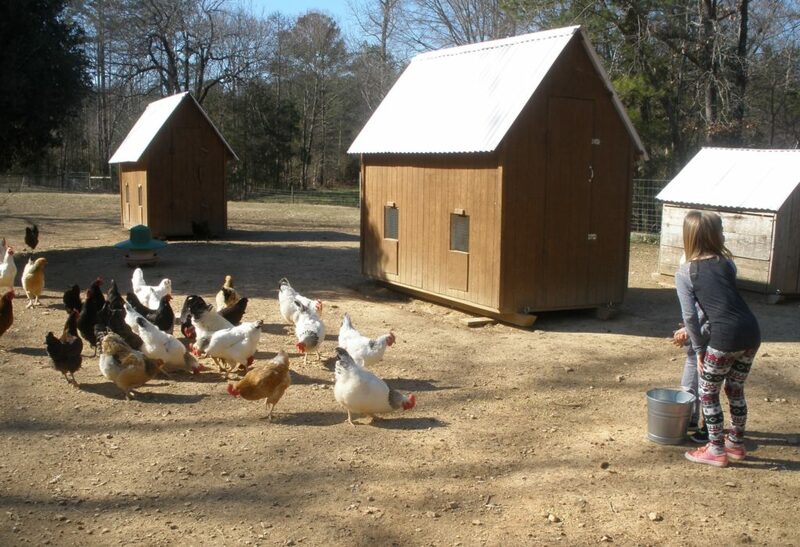 Here are some visitors feeding the chickens. Kids just love to do this, and I love to watch. Sometimes they toss out every last grain of feed in the bucket, and other times they get bored after just a few handfuls. These two children got so excited at the prospect of picking up eggs from the hen house. 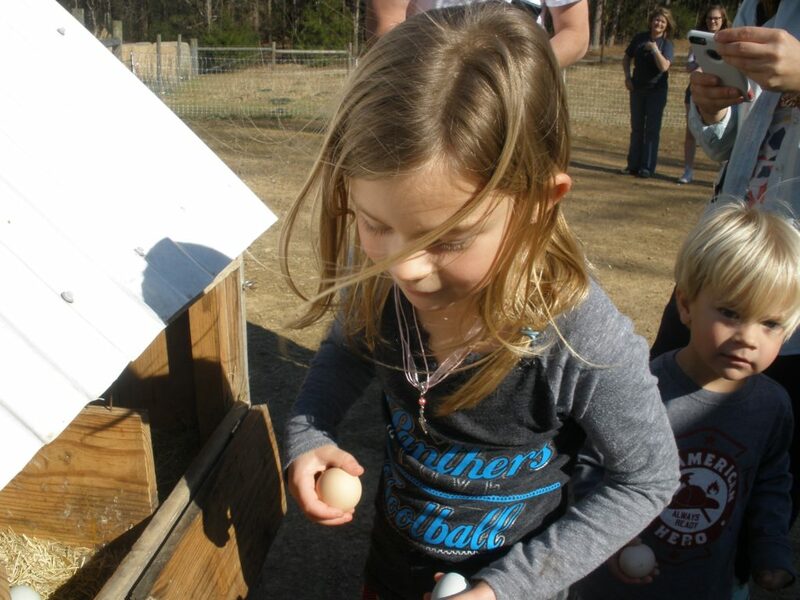 Sometimes there are hens sitting on the eggs, and the kids think that is pretty neat. They always want to see who can gather the most eggs the quickest, and I always have to remind them to slow down. This little boy dropped an egg on the ground, and the hens grabbed the shell and chased each other around, playing keep-away. The children thought that was funny! After being in the Back Forty where we couldn’t see them easily, Farmer Bob moved Clarence and Peanut Butter back to the pasture on the hill behind the house. Yay! Clarence just loves visitors and seems to enjoy posing for pictures. He’s still wearing his winter coat, so he is shaggy. 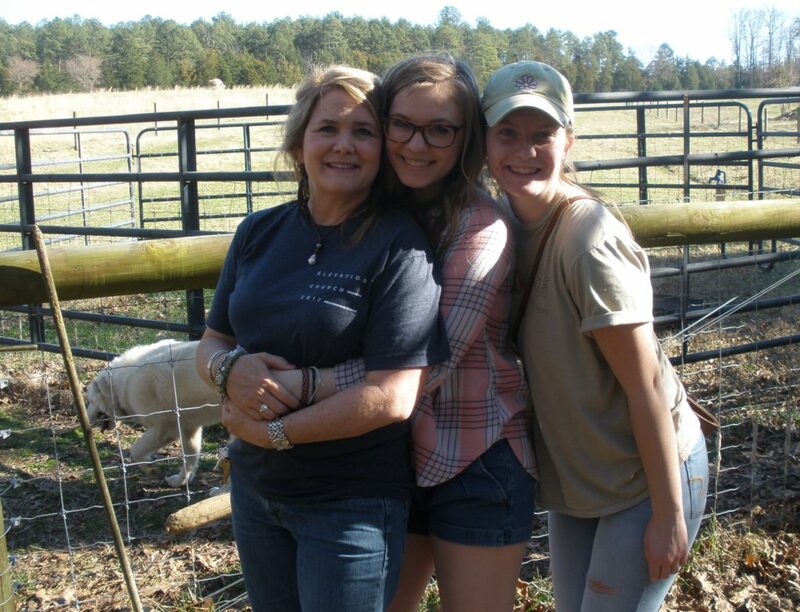 This is our friend Jeff’s (the Dairy Goat Guru) sister with her niece and her son’s girlfriend. They had a great time touring the farm. Deanne has a beautiful gift shop in the nearby town of Waxhaw. Farmer Bob got me some lovely sterling jewelry there (it was all made by a local artist), and she bought some of our pelts to use in her leather work that she sells at the shop. The Indigo Pearl is the name of her beautiful shop. It’s a great place to find the perfect gift made by local artists. 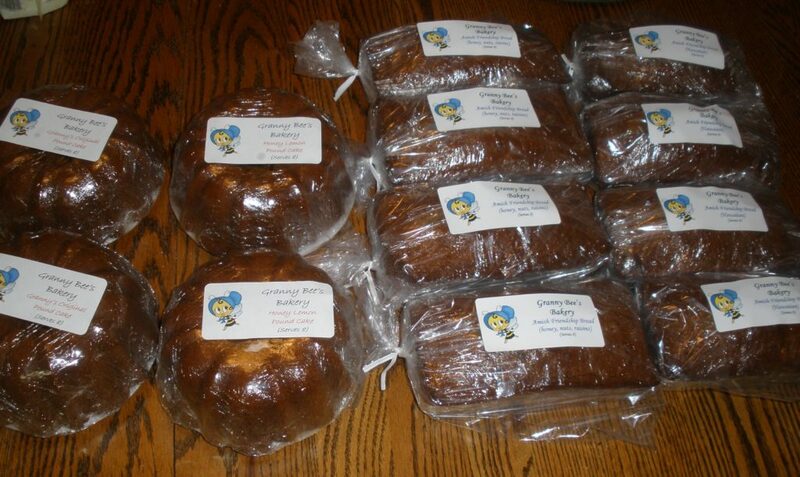 Granny Bee’s been busy in the kitchen, so there will be more bread and cakes at the farm market this afternoon. Everything she bakes contains her honey! 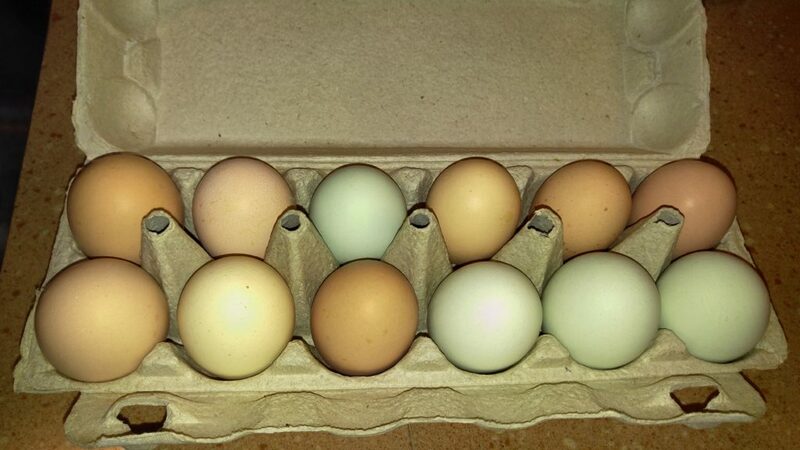 The hens have been working over time, and our egg fridge is full of big, beautiful blue and brown eggs for must $3.50/dozen or $12 for four dozen! 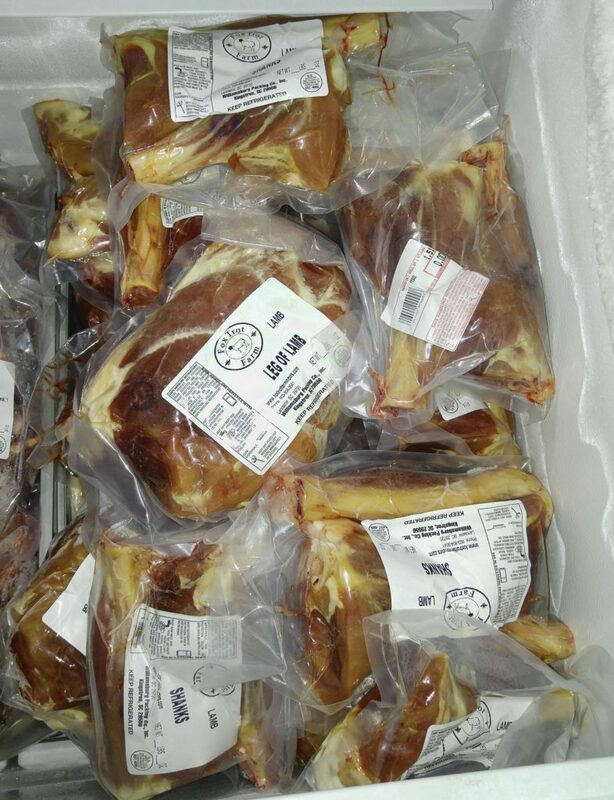 We also have a freezer full of our pasture raised processed lamb. 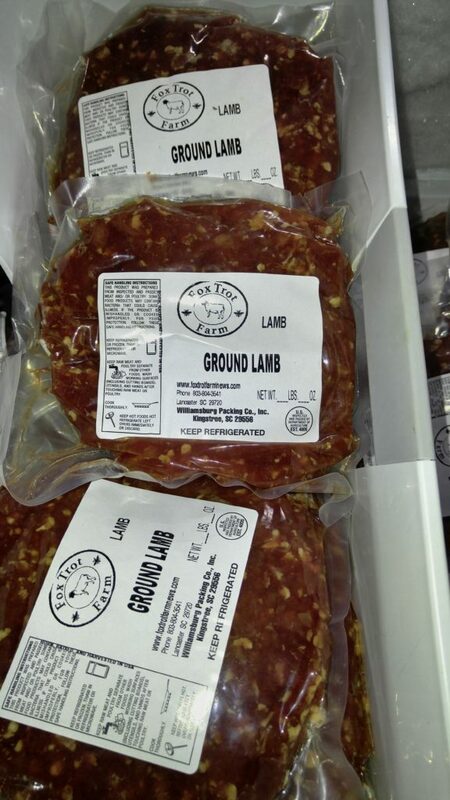 It’s perfect for spring, and you can find recipes here on our website. Come see us on Sunday afternoons from 1:00-5:00 here at Fox Trot Farm. 5066 Rowell RD, Lancaster. Tours are at 3:00 and there is no need to make a reservation for Sunday afternoon tours…just get here about 10 minutes before. 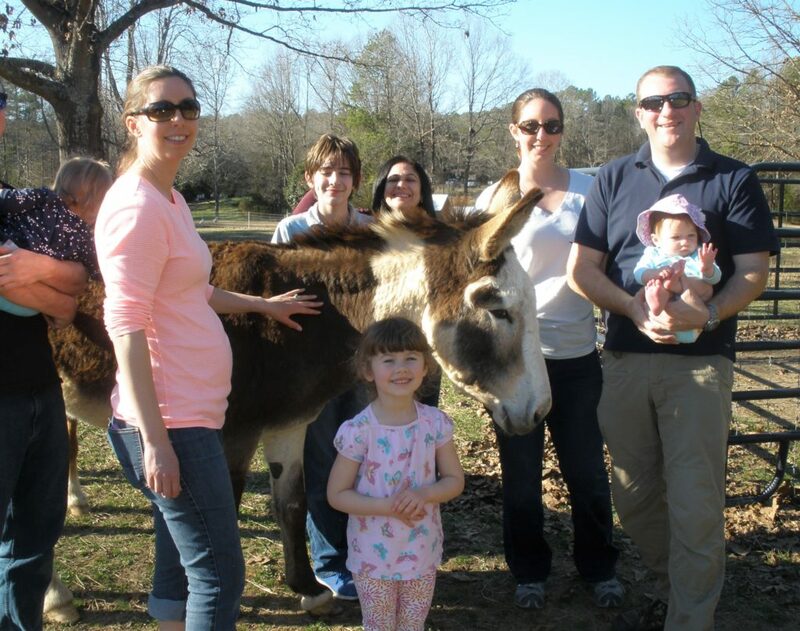 Enjoy shopping at the market and strolling through the farm on this beautiful spring day! Congrats on the new kids! 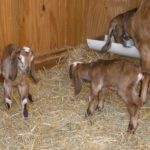 Now you can have a bigger goat family! Those “kids” are so cute….Mama did a good job !